LuxSci’s SecureLine end-to-end email filtering solution has been augmented with a new, optional, outbound email encryption option: “TLS Only”. SecureLine accounts that enable “TLS Only” can have their outbound email delivered over an SMTP TLS encrypted channel to recipients whose email services support it. This mitigates the need for using PGP, S/MIME, or SecureLine Escrow message pickup service for many secure outbound email messages — if TLS message transport encryption is “good enough” for your organization (i.e. it is for HIPAA compliance and it is for most bank-to-bank communications). Can be dynamic / automatic, in that the SecureLine system determines dynamically what recipients support TLS or not and uses TLS whenever possible. I.e. you don’t have to configure anything or have to check with your recipients — you just enable it and it uses it when possible. Can be static, in that SecureLine will use TLS only with pre-set list of recipient domain names that you specify. Supports exceptions. You can give a list of email addresses and/or domain names and messages to those recipients will never be “TLS Only” … those messages will need to use the more secure PGP, or S/MIME, or Escrow message pickup. Fall Back Security: If TLS is not available for a particular recipient, SecureLine will fall back to using PGP, S/MIME, or Escrow. Never Insecure: Use of TLS Only will never result in a message being delivered insecurely (without TLS or any other encryption mechanism) due to a lack of, a change of, or broken TLS support. Since all domains whose email is hosted by LuxSci support TLS, use of dynamic SecurLine TLS Only allows all internal between your account users and with other users of LuxSci to be sent “normally”. It also allows seamless encrypted communications with all other email providers who support TLS. 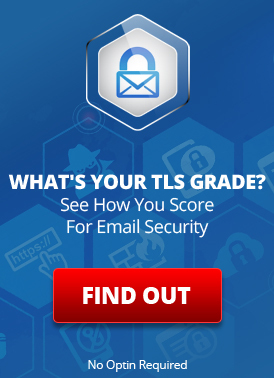 TLS Only makes SecureLine enforced outbound email encryption very simple to use. How do you know who supports TLS? You can manually determine who supports SMTP TLS for email delivery to them by reading this article: How to Tell Who Supports TLS for Email Transmission. Alternately, LuxSci has a new Widget (available to customers in the LuxSci web interface) that can be used for looking up TLS support on a per-domain or per-email address basis. It automatically does all of the things described in the aforementioned article for you. This entry was posted on Thursday, February 18th, 2010 at 10:14 pm	and is filed under LuxSci Library: Security and Privacy, New Feature Announcements. You can skip to the end and leave a response. Pinging is currently not allowed.